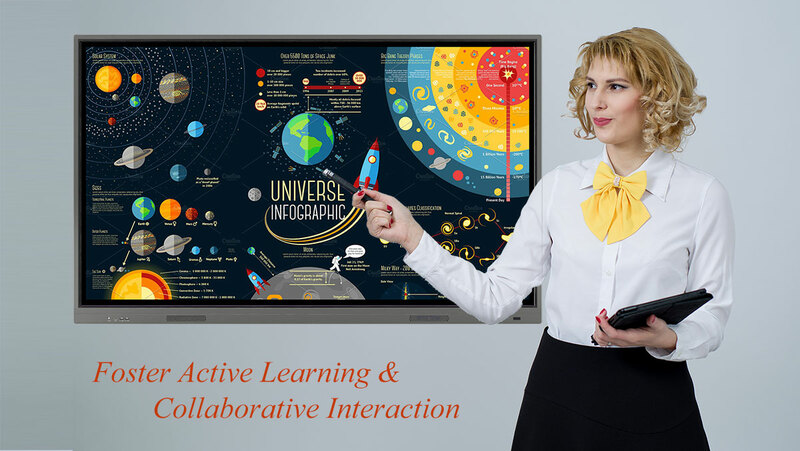 Also available in different smartboard sizes : 65" 75", and 86"
Integrates the key button such as Home, Volume, Menu Source, HDMI and USB Ports at the front, making it much more accessible for the presenter. It offers handy tools that help enrich and smoothen presentations, providing fast access and avoiding needless interruption. The Interactive Flat Panels can work seamlessly with a wide range of computing and mobile devices running most major operating systems, from Windows to Mac, Linux, and Chrome, through its plug-and-play feature. 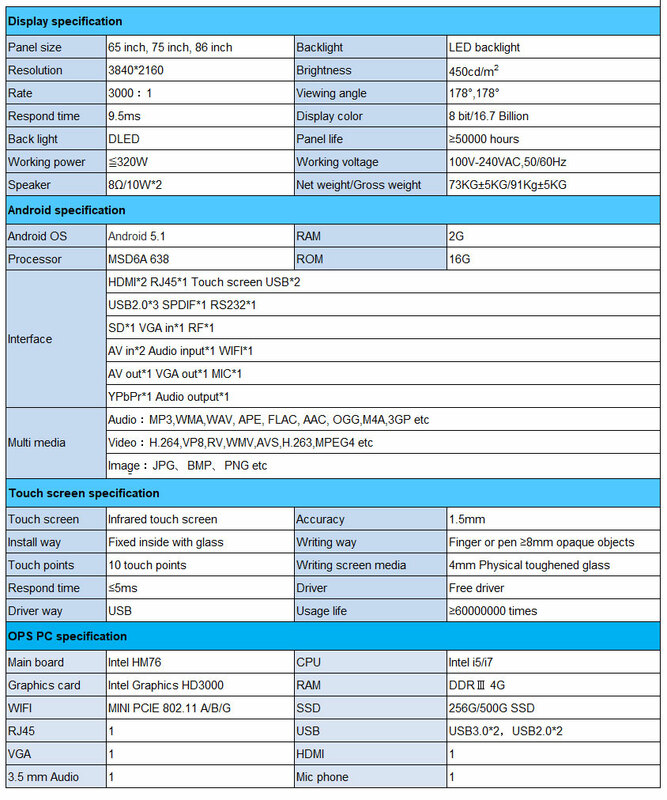 It offer dual operating system, Android and Windows 10 by default. 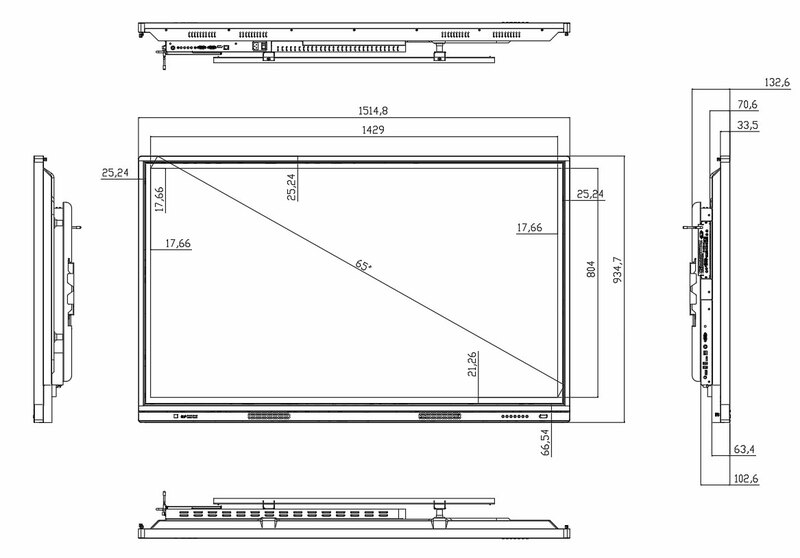 Technical Drawing Arvia Smartboard IR 65"